With $65 million in new funding, DARPA seeks to develop neural implants that make it possible for the human brain to speak directly to computer interfaces. As part of its Neural Engineering System Design (NESD) program, the agency will fund five academic research groups and one small San Jose-based company to further its goals. For a taste of what DARPA is interested in, the Brown team will work on creating an interface that would weave together a vast network of “neurograins” that could be worn as implants on top of or in the cerebral cortex. These sensors would be capable of real-time electrical communication with the goal of understanding how the brain processes and decodes spoken language — a brain process so complex and automatic that aspects of it still elude researchers. Among the six recipients, four are interested in visual perception, with the remaining two examining auditory perception and speech. MIT Technology Review reports that Paradromics, the only company included in the funding news, will receive around $18 million. Similar to the Brown team, Paradromics will use the funding to develop a prosthetic capable of decoding and interpreting speech. The recipients have a lofty list of goals to aspire to. Foremost is DARPA’s desire to develop “high resolution” neural implants that record signals from as many as one million neurons at once. On top of that, it requests that the device be capable of two-way communication — receiving signals as well as transmitting them back out. And it wants that capability in a package no larger than two nickels stacked on top of one another. “By increasing the capacity of advanced neural interfaces to engage more than one million neurons in parallel, NESD aims to enable rich two-way communication with the brain at a scale that will help deepen our understanding of that organ’s underlying biology, complexity, and function,” founding NESD Program Manager Phillip Alvelda said in the announcement. Over the course of the four-year program, the research teams will coordinate with the FDA on the long-term safety implications of installing DARPA’s dream implant in and on the human brain. When cracked, the technology, most often called a brain-computer interface (BCI), will break open a world of possibilities. From rehabilitation from traumatic brain injuries to typing a WhatsApp message using just your thoughts, BCIs have the potential to revolutionize every aspect of modern technology. But even as the money flows in, the challenges of developing this kind of tech remain myriad: How will the hardware be small and noninvasive enough to be worn in everyday life? Considering the privacy nightmare of creating a direct link to the human brain, how will we secure them? Crafting a viable brain-computer interface is a challenge that weaves together some of tech’s trickiest software problems with its most intractable hardware ones. 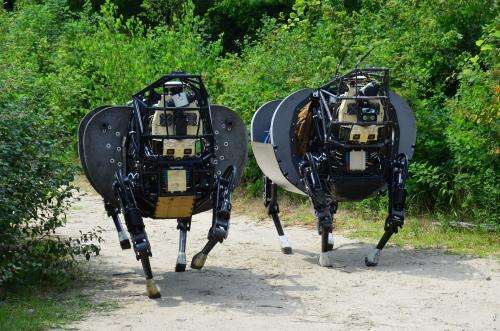 And while DARPA certainly isn’t the only deep-pocketed entity interested in building the bridge to the near future of bi-directional brain implants, with its defense budget and academic connections, it’s definitely the bionic horse we’d bet on.